Michael Miller and Paul Stewart had capped a successful Kickstarter project and planned a digital imprint of their book, a collection of photographs from the golden era of West Coast hip hop, called West Coast Hip Hop: A History In Photos. But the coffee table book garnered enough interest for a hard cover edition and fine art print show, opening this Saturday at Known Gallery. "I started shooting in 1988, in Paris," says Miller. "I was actually painting houses and I just happened to meet Peter Lindbergh, the world-renowned fashion photographer. He gave me my first professional camera. I helped him out on a few shoots." Miller had his first big job with Cacharel, a huge French fashion brand. He shot Linda Evangelista, Karen Mulder, and Elaine Erwin, some of the era's biggest supermodels. But getting access to supermodels would prove simple compared to the likes of Tupac Shakur, Cypress Hill and Ice Cube. However, Miller, being an L.A. native and passionate hip hop fan paired with Stewart, then a street promoter who later would head Def Jam's west coast branch. The two connected the dots and forged a mutually beneficial working relationship. "The artists had to know you," Miller explains. "I met DJ Muggs when he just got off the DMC World DJ Championship, the largest in the world. His roommate was DJ Aladdin. This was all before he started Cypress Hill." Miller scanned over 3000 images for the book, with only 70 making the cut. Admittedly he included a few photos that were less technically clean than close to his heart. West Coast Hip Hop: A History in Photos includes exclusive stories and images. Many times, he eschewed traditional studio settings for L.A. landscapes; perfect lighting for amazing, pre-Photoshop double exposures. Miller caught The Alkoholiks in a liquor store cooler on Sunset (the cover of 1993's 21 + Over), Dre and Snoop on the boards for The Chronic, and -- wait for it -- Eazy-E with a skateboard. "That image is close to me, because I grew up skateboarding," explains Miller. "It happens to be a Natas Kaupas deck. Natas gave me that board. I was waiting for Eazy, just skating around and he showed up and he hopped on it for a second. He didn't actually skate, but it was cool." Despite a packed schedule of advertising jobs, being able to work on the fly helped Miller assimilate to the artists and their crews. He shot covers for the likes of Priority, Death Row, Jive and EMI Records for 20 years, essentially documenting the careers of Coolio, Mack 10, Westside Connection, DJ Quik, Too Short, Ice T, Yo-Yo, Funk Dubious, King Tee, Suga Free, Supa Fly, House of Pain and Snoop Dogg, from demo to full rotation on KDAY. "We'd have a game plan. So when I got down to doing the work, even though I'd take Tupac to East L.A. to Pasadena and back to downtown, it worked out great. 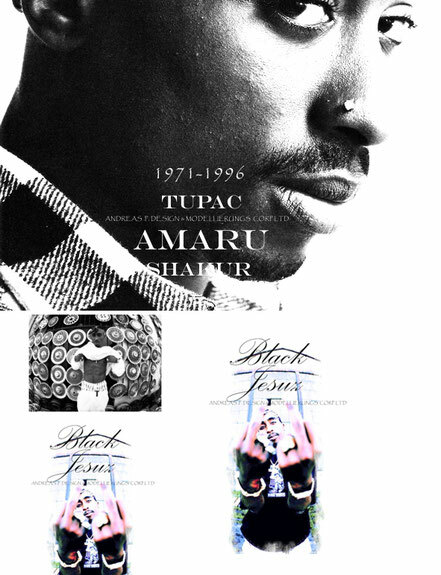 You've got Tupac with the tombstones and the guns," says Miller as he shows a particularly iconic portrait of Shakur against a graffiti wall. "I haven't really been showing people this book -- 90% of these images have been in my archives and storage. Never been used." The print show and book signing at Known promises to bring out quite a few of the personalities in the book and plenty of their old and new fans. 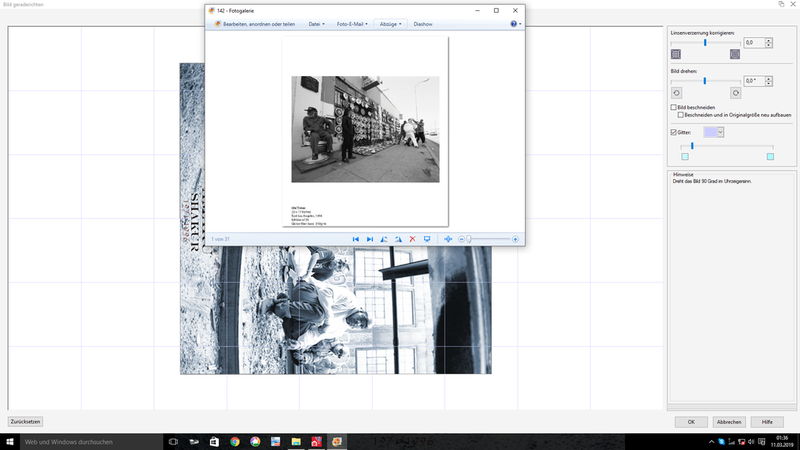 Even for those who grew up seeing Miller's images of N.W.A, Dub C, Warren G and Sir Mix A lot, it will be an introduction to the photographer himself as he's been behind the scenes until now. "Mike hasn't been bragging about having this huge body of work, so people don't really know, explains Stewart, now publisher at his own Over the Edge books. " This was my dream book." Michael Miller’s photographs capture a unique era of West Coast culture, combining the emerging genres of gangster rap, skateboard culture, Los Angeles street culture, and the iconic personalities who help turn West Coast rap into a global phenomenon. 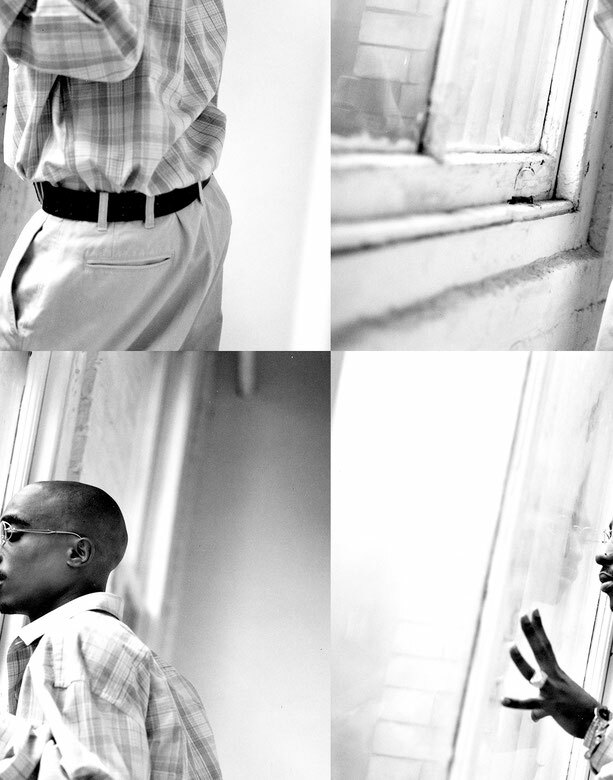 Capturing intimate portraits of hip-hop legends 2pac, Snoop Dogg, Ice Cube, Eazy-E, Cypress Hill, as well as iconic advertising campaigns with street fashion giant, Stussy, Michael Miller photographs hearken back to a pivotal moment in history where he took rap, surf, skate, punk, and street fashion fused into one image. The Los Angeles-based photographer has worked in the entertainment and music industry for over 25 years, with a portfolio of over 300 major record covers, iconic supermodels of the ‘90s, and some of the biggest names in rap and jazz. Influenced by the techniques of Peter Lindberg, Paulo Roversi and Javier Vallhonrat, Miller has developed a unique method of cross-processing film and different chemical baths for his black and white photographs. A graduate of UCLA with a B.A. in Film and Television, Miller moved to Paris and met top agent Rene Bosne. With Bosne’s mentorship, Miller began to shoot photographs, gradually gaining jobs shooting models for John Casablancas’ agency. After moving to Barcelona to shoot campaigns fro Cacharel Paris, Miller returned to Los Angeles in 1988 to shoot for Herb Ritts’ agency, Visages. Gaining recognition within the fashion industry, the music world took notice, and by the end of 1988, Miller photographed his first rapper, Arabian Prince. For West Coast Hip-Hop: A History in Pictures at FIFTY24SF Gallery, Michael Miller will be presenting a series of his iconic early 1990?s hip-hop photographs, including numerous photos of 2pac, Ice Cube, Eazy-E, Snoop Dogg, Warren G, as well as photos of unique historical perspectives on Los Angeles street culture. Coinciding with Miller’s exhibition, we will have famed San Francisco musicians, Tommy Guerrero and ORB DJing the opening on Friday, April 27, 2012. On Saturday, April 28, from 2—4PM, Miller will be signing copies of his West Coast Hip-Hop: A History in Pictures at our FIFTY24SF Gallery. Michael Miller is a simple man with an extraordinary life in photography. Over the past 25 years, he has built an expansive portfolio that includes over 300 major record covers, the most iconic supermodels of the ‘90s and some of the biggest names in rap and jazz. Miller was born and raised in Los Angeles and recalls the only radio station that came in clear where he lived during his teenage years was AM 1580 KDAY. As a Santa Monica High School student in the midst of the punk, surf and skate scene, he was listening to RUN DMC, Doug E. Fresh and Slick Rick. Miller graduated from UCLA with a B.A. in Film and Television and after college, he took a trip with friends to explore Paris where he met then boxer turned top agent Rene Bosne, who in time became Miller’s roommate in Paris and introduced Miller to his first camera. Miller began landing jobs shooting models for John Casablanca and later relocated to Barcelona, Spain where he began to build an impressive portfolio shooting for major campaigns such as Cacharel Paris. Influenced by the techniques of Peter Lindberg, Paulo Roversi and Javier Vallhonrat, Miller developed a method of cross processing film and different chemical baths for black and white photographs. He was on to something that was still undiscovered in the United States, sharing his method with fellow photographers such as Anton Corbijn. Impressed with his major campaign for Stussy, DJ Muggs (7A3, Cypress Hill) asked Miller to photograph the demo for a new project titled Cypress Hill that led Miller to becoming a heavily sought after photographer for the hip-hop community. M+B Photo is pleased to announce California Love, an exhibition by internationally acclaimed photographer and director Mike Miller. A native of Los Angeles, Miller is widely known for his iconic images chronicling the rise of the West Coast hip hop scene. The exhibition runs from September 8 to November 3, 2018, with an opening reception on Saturday, September 8 from 7 to 9 pm. This is Miller’s first solo exhibition with M+B. Miller grew up on the Westside, attending Santa Monica public schools. His teen years were impeccably timed, growing up in the early days of punk and hip hop. He went on to graduate from UCLA in the mid-1980s and decamped for Europe, ending up in Paris, where he briefly made ends meet by painting houses. While in Europe, super model Linda Evangelista gave him his first camera, a Nikon F2 passed on from Peter Lindberg. Miller began photographing in earnest and quickly proved gifted for the craft. Within months he was traveling across Europe to shoot campaigns for Cacharel and other major fashion houses. on the West Coast rap scene, thoroughly compiled in his monograph West Coast Hip-Hop and the subject of his in-progress documentary about the influence of this region's hip-hop culture on the rest of the world. This exhibition will include some of Miller’s most recognized images of artist Eazy-E, Snoop Dogg, and Tupac Shakur, along with never before seen photographs depicting the time, culture, and community that gave birth to West Coast rap. Mike Miller (b. 1964) lives and works in Los Angeles. His work has been included in recent exhibitions at The New York Public Library and The Oakland Museum of California and has been acquired by the by the collections of the Smithsonian, Getty Museum and the Rock and Roll Hall of Fame, among others. Michael Benabib is an American portrait photographer, known for his portraits of David Bowie, Tupac Shakur, Sean Combs, and Keith Richards among others. Notable portrait photography of public figures include Bill Clinton, Alan Dershowitz and Loretta Lynch. His work has appeared in publications including Vanity Fair, Vogue, GQ, Rolling Stone, Vibe , ESPN magazine, The Wall Street Journal , The New York Times, NPR and Newsweek. His work was included to photography collections on display by The Smithsonian and MoMa. In the 1980’s, Michael freelanced with Rush Management and Def Jam Records ; his photography of musicians include Rakim, LL Cool J, Public Enemy, DJ Jazzy Jeff & The Fresh Prince, among many others. In 2007, Watson-Guptill Publications and Billboards Books published “In Ya Grill: The Faces Of Hip-Hop” the hip-hop photography of Michael Benabib and text by Bill Adler. In 1995, his editorial photography assignments for magazines include The New York Times Magazine, Newsweek, Rolling Stone, Adweek, Forbes, ESPN Magazine, and Bloomberg Markets Magazine. In 1997, his editorial magazine photography led to advertising assignments for brands including Heineken, Nissan, Sprite, Lugz, PETA and Planned Parenthood. In early 2000’s, his assignments include Forbes Life Magazine and Fortune 500 companies such as American Express, CitiBank and Pfizer, among others. "This is 1993," Clinch remembers. "Rolling Stone calls and gives me this photo shoot. I was told it was going to run a quarter page. It was one of my first RS assignments and in my mind I said, 'I'm going to shoot this as a Rolling Stone cover in my mind.' I was just dreaming. 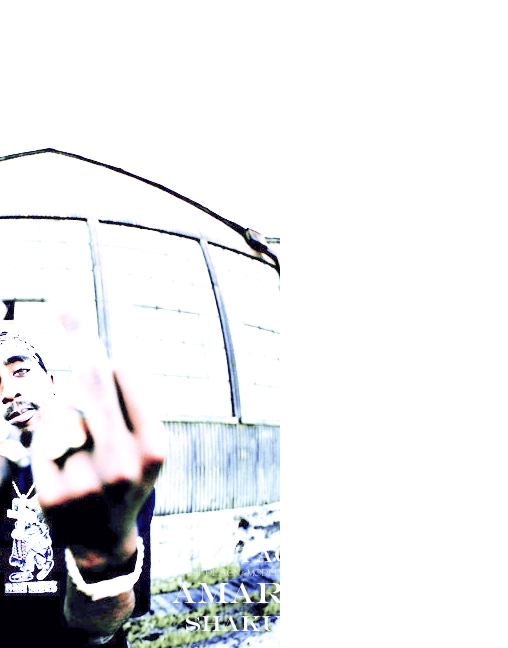 "Tupac showed up and was very cool. I've done a lot of hip-hop. A lot of the musicians would come with sometimes 20 people, but at least five or six people would come to your studio and make themselves comfortable. Tupac showed up with one guy and they came up to my studio. He was really professional and he was very excited to be photographed for Rolling Stone. He understood the magnitude of that since it's not just a hip-hop magazine. It's the gold standard. He was really into it. "At one point he was changing up his clothes so we'd have some options. I saw his tattoos and said, 'Hey, can I get a couple without your shirt on?' He said, 'Sure.' I shot a couple like that. The shoot wasn't really that long. I felt like we got it. We shot there and on the roof of my studio. Then three years later, the inevitable happened and it actually ran on the cover of Rolling Stone. Talking about your upcoming book, what are some of your favorite images from that? I like the pairing of things. There’s a pairing that has Jay Z on one side and Tony Bennett on the other and why would those two be together? Because they’re both super interesting people who are owning it. 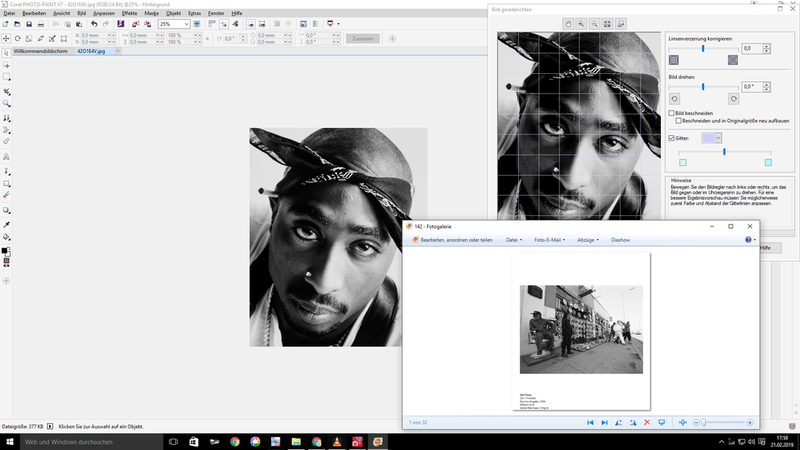 There’s a new image of Tupac that I have in there—if it has been published, it hasn’t been published a bunch—so I’m excited about that. There’s some great Tom Waits [photos] in there. There are some Neil Young photos that I love. Bruce Springsteen wrote the foreword to the book which is super exciting for me. There’s some good Springsteen photos in there as well. The way it’s broken up, it’s not only live concert stuff, it’s backstage stuff, hanging out, relationships that have taken me ten years to build that I love. Being on the road with Radiohead on the back of a ferry going over to Liberty State park are things you can’t really get unless you have spent a lot of time and invested in a lot of time in a good relationship with people so that they trust you. How did your relationship with Radiohead start? I met Radiohead when they first came to America with the "Creep" single. We were going to do a shoot together and they were really happy with the photos. So when they were coming to town, they would call me and we would hang out and I would shoot photos, whether it was social or I had an assignment. I think it’s important that you’re choosy about what photos you publish, that you make sure everybody’s comfortable. Some people enjoy trying to get the scandalous photos out there and putting people in compromising positions but that’s just not my style. What would you say your style is instead? It’s photograph as a document, on the more artistic side of things. A portrait can be really powerful but I also like to pull back and show atmosphere, capture a moment that makes it real. It’s not flashy, it’s soulful and authentic. You hear those words all the time but it feels right to me. Recently you shot Ringo for John Varvatos. Can you talk a little about that experience? This is my twentieth campaign with him. John is a huge lover of music. Rock 'n' roll has certainly influenced his brand. We had shot Iggy Pop, Alice Cooper, Green Day, Jimmy Page, Eric Carr Jr. and then KISS—where do you go from there? This year we went to the Grammys and John reconnected with Ringo. I think he was wearing something of John's and we were like, 'Man, we got to try for Ringo.’We reached out to his manager and publicist and they were onboard. We built the campaign around Ring's charity, Peace Rocks. Certainly Ringo doesn’t need the money, he wanted to be able to help support his charity and bring attention to it. He’s super psyched to be on board. He was quoted as saying that he’s always wanted to be a male model. The cool thing about the John Varvatos stuff is that it’s one of those things that’s helped me transition into filmmaking. I’ve been making films since the early 90s like that documentary on Ben Harper, but I decided to venture into filmmaking and when I started the John Varvatos campaign. I started to bring my Bolex camera. I said to John, 'If you don’t mind, I’m just going to shoot some b-roll stuff that I can put up on my website,' and he was like, 'Yeah, sure.' It turned into now that we really think about the campaign not only from a still aspect but also from a film standpoint for me as a director.